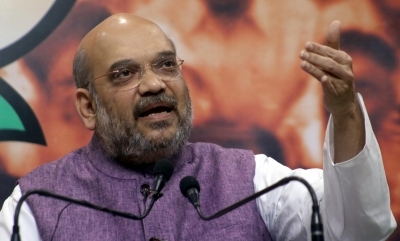 Crying foul, the BJP on Wednesday alleged that a state-owned indoor stadium, where its President Amit Shah was scheduled to attend a programme next week, had cancelled their booking after accepting it. “Netaji Indoor stadium authorities had accepted our booking. We had event sent a letter to them and it was taken then. But on August 30 when we sent our people to check on the booking, we were told that the stadium was booked for the entire month, except for the Durga Puja days between September 26-30,” said state BJP General Secretary Sayantan Basu. Attempts to contact stadium authories went in vain. The development comes a day after authorities at state-run auditorium Mahajati Sadan cancelled the booking for an October 3 programme which RSS chief Mohan Bhagwat was scheduled to attend.